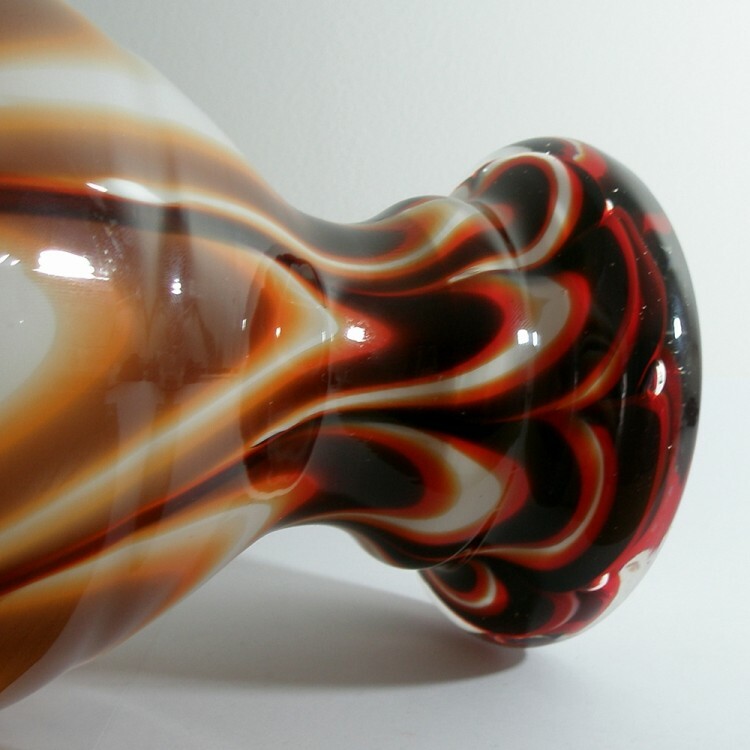 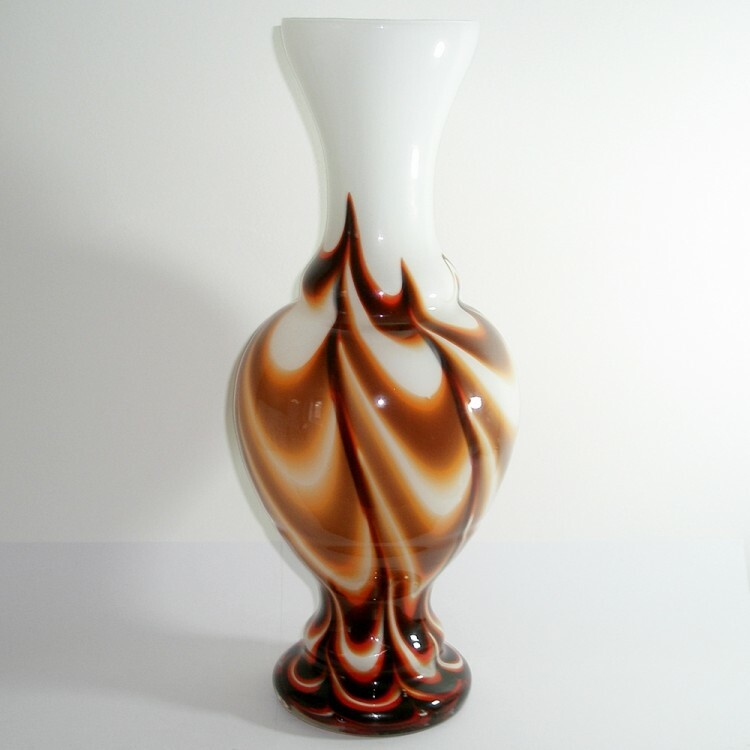 A Murano multicoloured retro art glass vase made by Italian firm Carlo Moretti during the 1970s. Cased glass with exterior clear glass casing a red/orange and brown marble glass design casing a white internal glass layer. 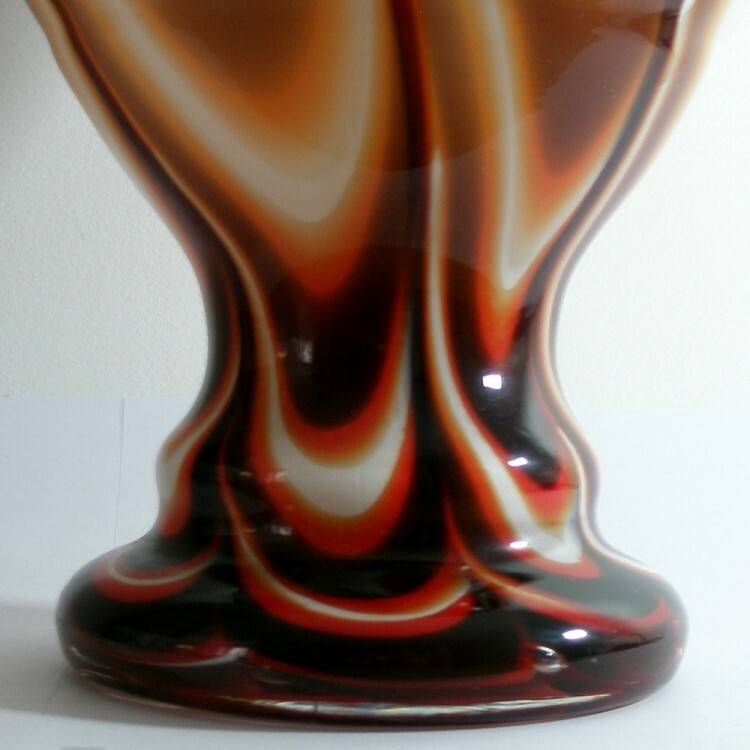 Excellent condition, no staining, chips or nicks. 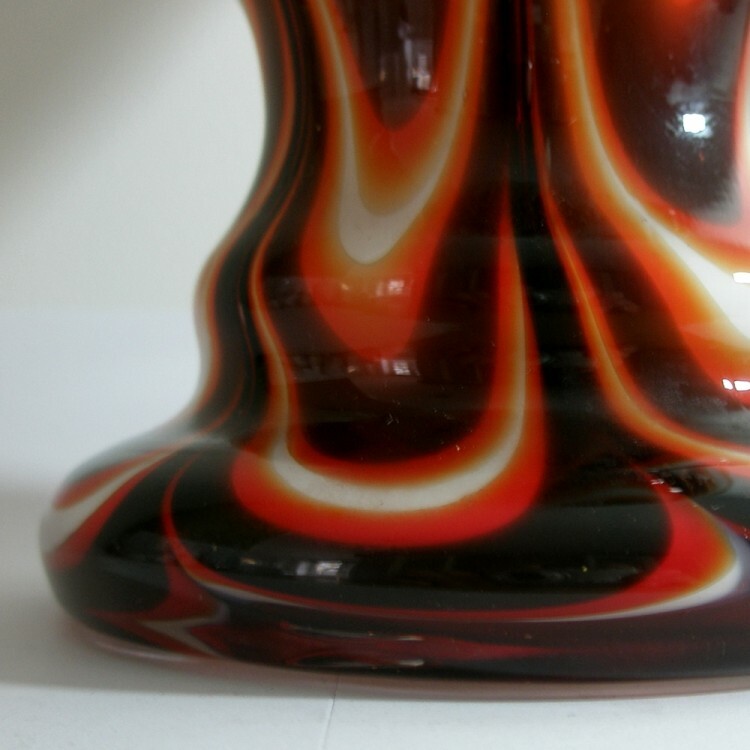 There are a few black inclusion in the inside of the neck and the very inside bottom has quite a few tiny black inclusions. 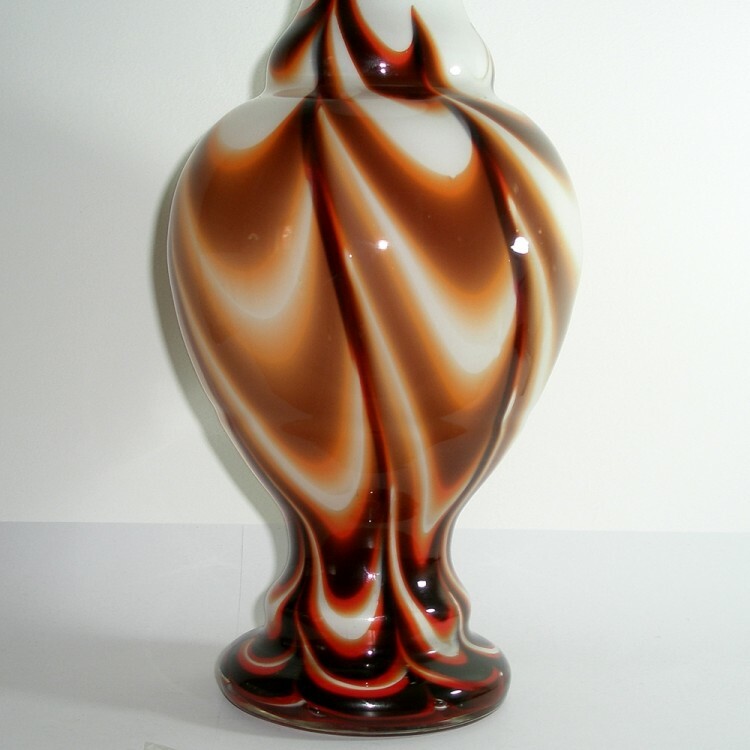 There are also a few air bubbles that can be seen on the outside of the vase that are enclosed between the two outer layers of cased glass.